The United States of America is divided about the pending presidential election. In CNN’s most recent national poll, Hillary Clinton has 43 percent support for the presidency, while Donald Trump has 40 percent. Where in those statistics, however, are college students represented? From talks of rescinding Trump’s honorary degree to political chalkings across campus, Lehigh is certainly not apathetic to this year’s election. 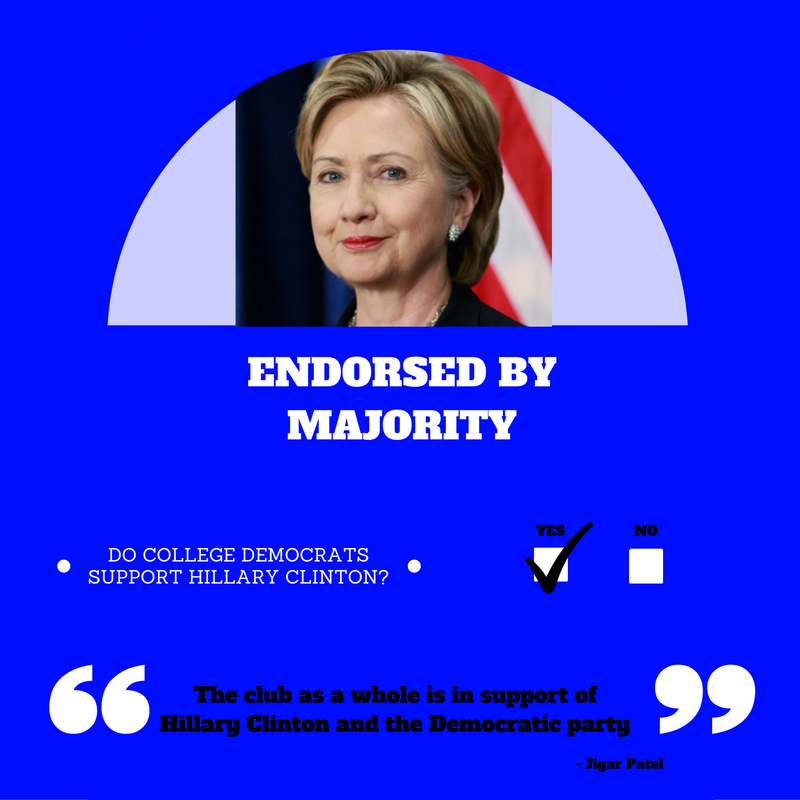 Both Lehigh College Republicans and College Democrats have taken stances on the candidates. Max Weiss, the president of Lehigh College Republicans, said although members of the club have different opinions on Trump, the majority are against his candidacy. 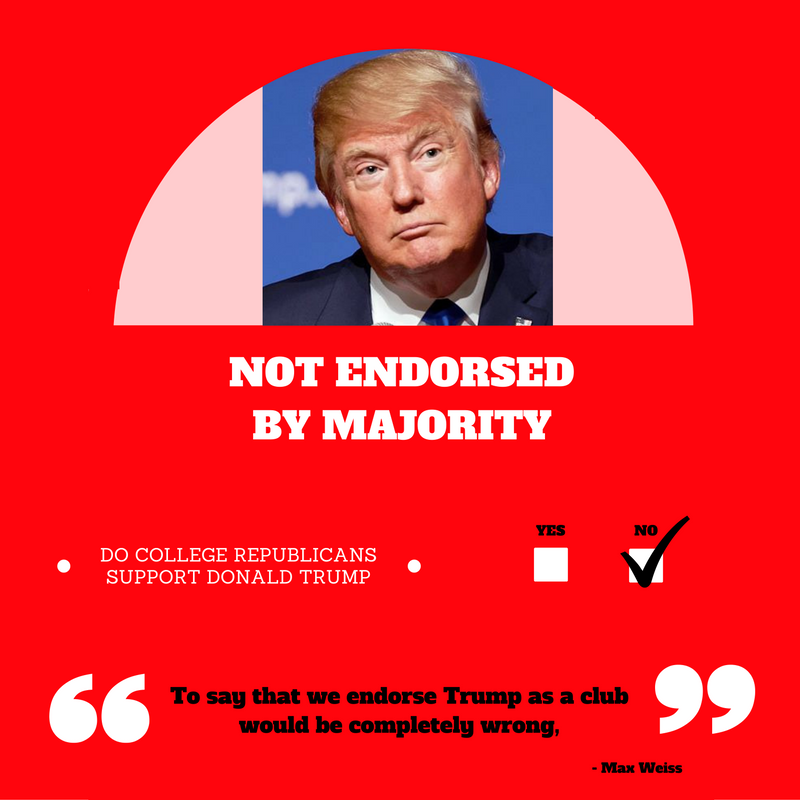 While Weiss believes leaders in the Republican party have tried working with Trump to create a more cohesive message to unite their constituency, he still recognizes why other universities’ College Republicans won’t endorse the presidential candidate. For example, Harvard’s College Republicans has refused to endorse the GOP candidate for the first time in 128 years, calling Trump “a threat to the survival of the Republic.” Penn State’s chapter of the organization has disavowed Trump as well. Weiss said it’s impossible to agree with a presidential candidate on 100 percent of their issues, and on the other side of the aisle, College Democrats feel similarly about their party’s candidate. He believes refusal to support Clinton stems from her not appealing to the younger voters like Bernie Sanders did with his proposed policies. “Many Democratic non-(Clinton) voters are the Bernie-or-Bust group who refuse to endorse or vote for (Clinton) because of their devotion to Bernie Sanders and his ideologies,” Patel said. Patel said while there might be a difference in opinions about the candidates, the club can agree with the Democratic platform on issues like education spending, gun control, health care reform and marijuana laws in relation to incarceration. In respect to the GOP, Patel said he understands some College Republicans’ decision not to support Trump. Patel said he wants students to become more informed about the candidates and the issues of the 2016 election. He said he hopes students will recognize that by voting, they can change their futures, and the future of the country, for the better. Some students who don’t feel strongly about either candidate, however, find it hard to justify voting. Aaron Rotem, ’19, believes he echoes other Lehigh students’ opinions when he says that both presidential candidates are unfavorable. Both Clinton and Trump have been campaigning to secure the college vote, but with Election Day only about a month away, their deadline to do so is fast approaching. I am glad to see that people at Lehigh use their brains, be they Democrats or Republicans. Having voted for candidates in both parties in the past, I plan to vote for a third party this presidential election. Gov. Johnson gets my protest vote. I don’t want more of the same and definitely don’t want “Make America Great Again” as interpreted by Mr. Trump. Trump is no Hitler but I think that Hitler’s appeal to the German man on the street was “make Germany great again”. Don’t refuse to vote, give it your best shot be it Democratic, Republican, Libertarian, Green or write in.